Destination Spotlight: Could shimmering Venice be the perfect place to honeymoon? 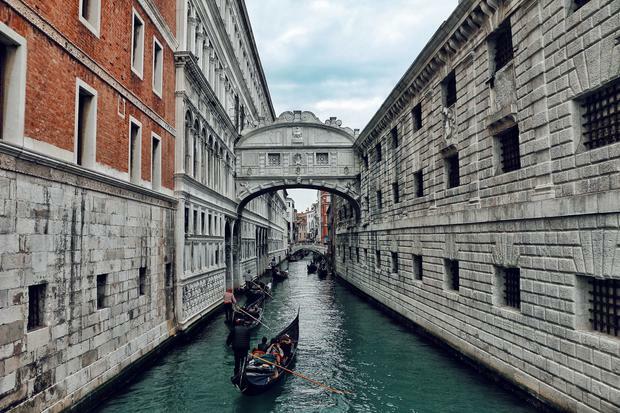 Venice may just be the most romantic place on earth, making it a pretty perfect choice for a magical honeymoon, says Jillian Bolger. Trying to squeeze Venice into a day trip is wrong. This shimmering city is fairytale-like in its beauty, sparkling with age-old opulence, exquisite architecture and mesmerising heritage. To drop by without making plans to stay the night – and one night certainly isn’t enough – is cruel. There’s nothing harder than saying goodbye to Venice. 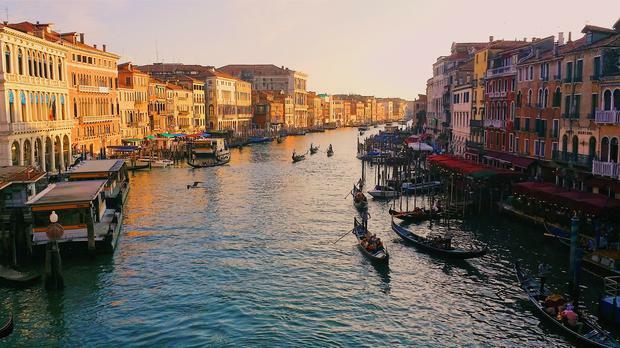 Bucket list travellers may be content popping into the Doges’ Palace, sipping espresso in the Piazza San Marco and crossing the Rialto Bridge, before cashing out with a quick jaunt in a gondola, but to do so is to leave this romantic retreat having missed out on the very essence of Venice. In truth, the citadel is best enjoyed when the day-trippers have departed. As the masses of tour groups head back to the mainland, Venice seems to relax, breathing a palpable sigh of relief. It’s not that it’s not used to invasions – for over a millennium it’s strategic location saw it control trade routes and survive conquest after conquest, becoming a prized possession for everyone from the Byzantines to the Ottomans, Napoleon to the Austrians. Developing vast power and wealth in the Middle Ages, when it was ruled by a Doge, its ornate buildings, waterside palazzo and elegant churches remain as monuments to the glory days of the Renaissance. The former republic’s power may have lasted a millennium, falling in 1797, but Venice’s glamorous status is still very much alive. The main island feels more like a single entity than 117 connected islets, sparkling canals running between them like jewelled thread. Protected from the Adriatic swell by the Lido, a thin strip of land, the surrounding lagoon creates a calm setting that gives Venice its other worldliness. Nowhere on earth will you find a picture-perfect city surrounded by dazzling water, free of traffic and offering intrigue and historic significance at every turn. You don’t need to attend during the Film Festival, carnival or Art Biennial to experience the city’s intrinsic glamour and vibrancy. Even in the depths of winter Venice sparkles like the jewel she is, captivating with romantic views at every turn, ensuring every visitor who sets foot on her squares, bridges and laneways leaves fulfilled and starry eyed. With dozens of landmarks per square mile it’s easy to arrive here with a wish list of sites to see. To tackle these is wonderful but not if it’s at the expense of Venice’s other great pleasure – its atmosphere. Make like a local with an aperitivo in hand – Prosecco with a dash of Campari or Aperol – and sit back at a pavement bar or cafe off the main drag. Here you’ll feel the magic all around as you watch locals go about their business and wide-eyed tourists sail by in gondolas. Surrender yourselves to the labyrinth and allow yourselves the fun of getting lost. Treasures await around every corner and you’re never far from a vaporetto, Venice’s water taxis, if you need orientation. The best feeling of all is slinking back to your hotel afterwards, and luxuriating in its opulence. If Venice is a fairy-tale by day it’s a fantasy by night, ensuring a magical backdrop to a magical honeymoon. Just steps from St Mark’s Square, the deluxe Baglioni Hotel Luna is a restored palazzo dating back to 1118. Full of original details, its full-on Venice, with opulent fabrics, furniture and Murano chandeliers. Bedrooms are lavishly appointed and this central five-star hotel offers an elegant café and award-winning restaurant serving Venetian specialties. B&B from €280 per night, baglionihotels.com. Contemporary and cosy, the aptly-named Splendid Venice really is a splendid retreat, just minutes from St Mark’s Square. The luxury boutique hotel offers a gorgeous rooftop terrace while the décor is sumptuous and stylish. High on romance, this chic four-star has a popular restaurant, La Maschere, and a romantic hotel bar offering a bird’s eye view of the canal. Doubles from €290 per night. starhotels.com. Aer Lingus flies to Venice Marco Polo Airport, 7 km from Venice. From here you can take a bus transfer or arrive in style via a water taxi. Ryanair flies to Treviso, 45 minutes away from Venice. Return bus transfer costs €18. Lynne Kelleher Ireland has been named among the top five worldwide honeymoon destinations for LGBT couples. Is the male stripper a thing of the past for Irish hen parties? Eoin Butler: Has social media killed the stag party?